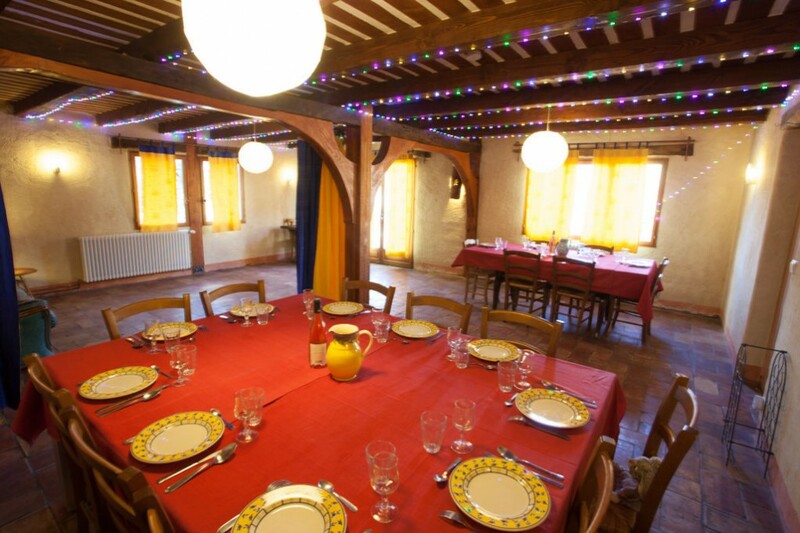 Alauzon – Group Gite Accommodation in Provence, France. 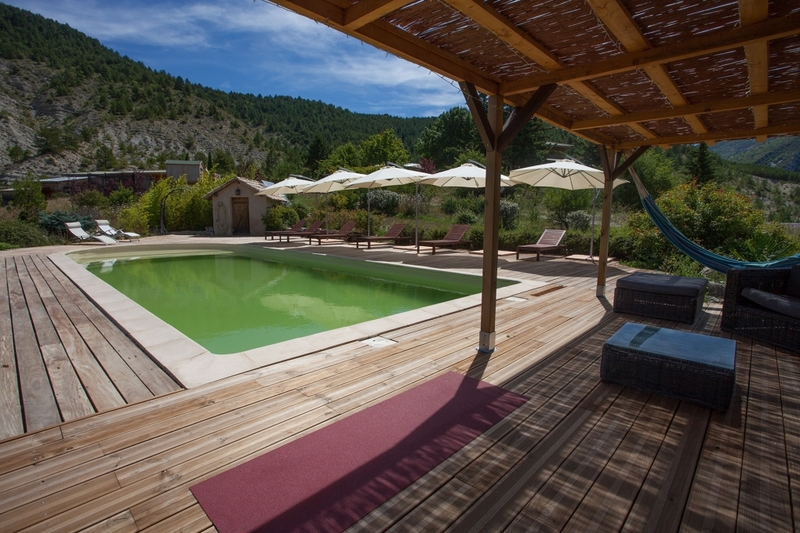 Alauzon is a collection of rental properties in the hills above the town of Buis-les-Baronnies, France. We can accommodate groups of up to 30 and offer competitive prices for individuals and smaller groups. Find out more about our rental properties. Our location is priceless. 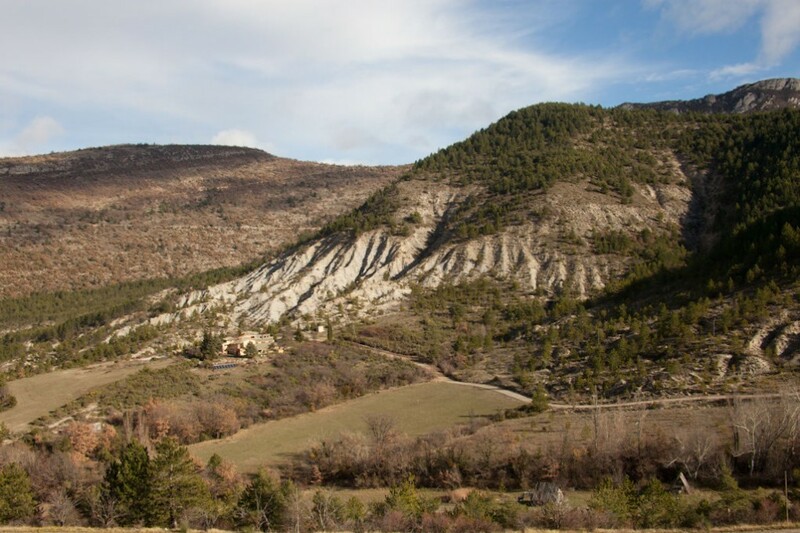 Though just 15 minutes from the market town of Buis-les-Baronnies we are in a secluded valley surrounded by forestry land. Even at the peak of holiday season, here, you can hear the grass grow. There's plenty to do. The area around us has some great walks, and if you want to explore at a faster pace, we have a fleet of mountain bikes you can take for a spin around the forest trails. The area is also well-known for road cycling and there is rock climbing and via-ferrata just 20 minutes from the door. Of course you can just relax, have a picnic in our grounds, and take in the view from the poolside. 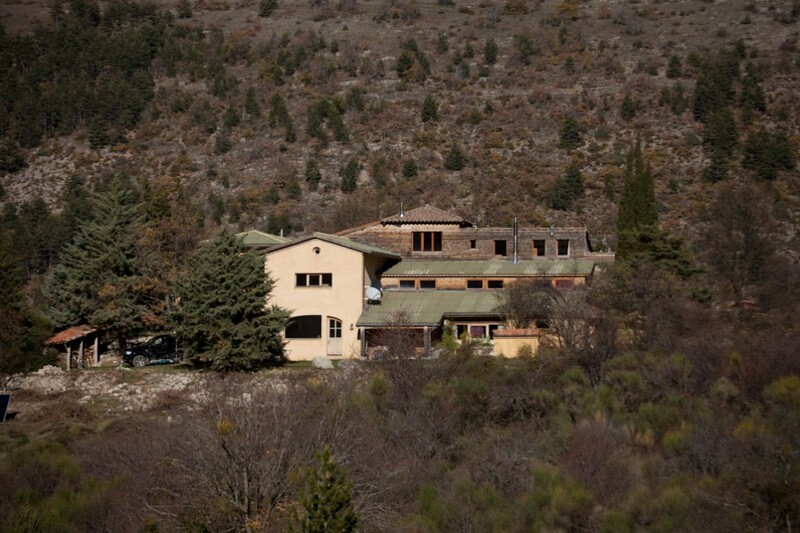 The house at Alauzon contains the studio, the bunkhouse, and the guest kitchen and dining room. Our 12m x 5m natural swimming pool is open from May to September - and is a great place to relax with an amazing view. 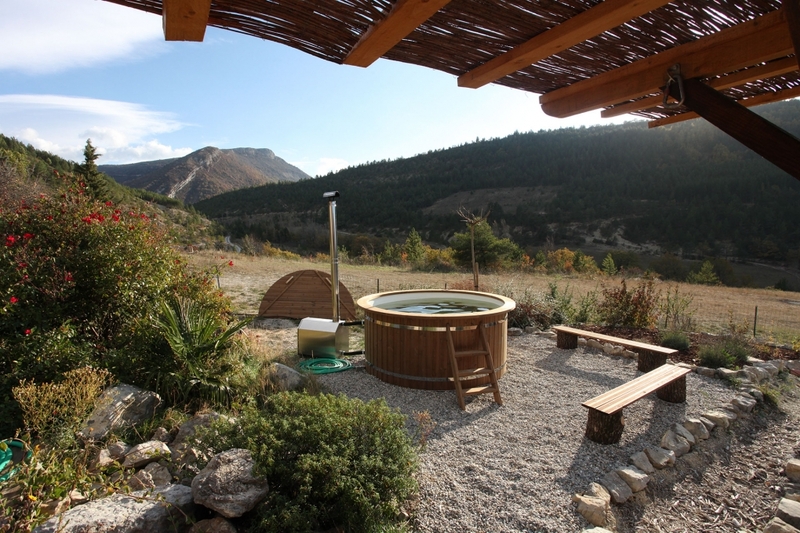 For an unforgettable experience at any time of year, don’t forget to book our wood-fired hot tub for your stay. 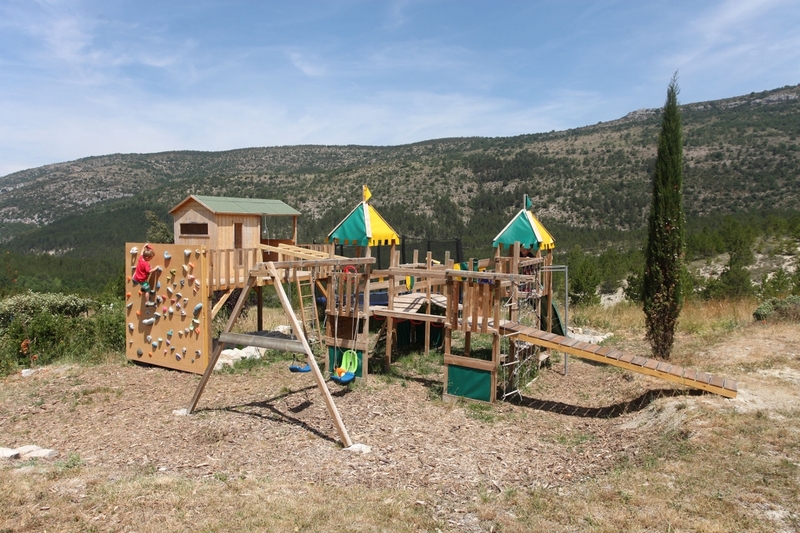 Completed in August 2016, our playground has proved extremely popular with children and parents alike. 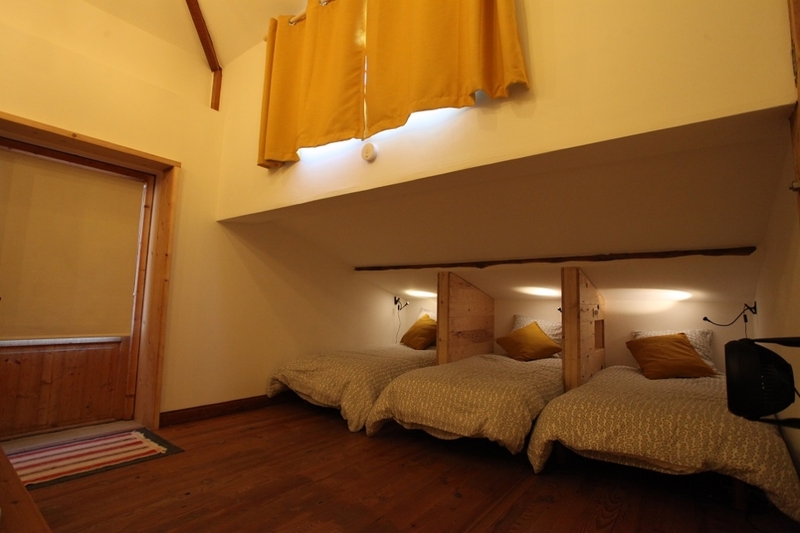 The Studio is a lovely, private apartment that can sleep 2/4 comfortably and is cozy all year round. 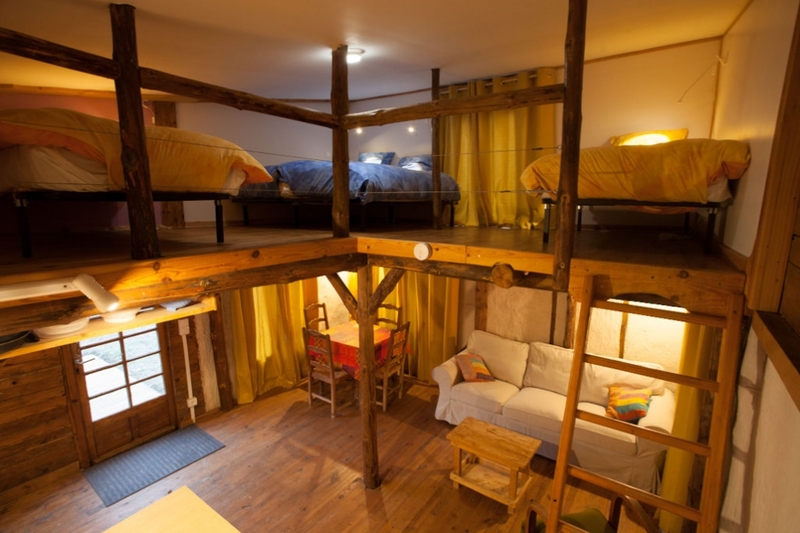 3 bedrooms (11 beds) and 2 bathrooms in our largest guesthouse- the Grenier. In the heart of the Regional Park, our estate stretches out over thirty acres of fields, streams, and woodland - plenty to explore. 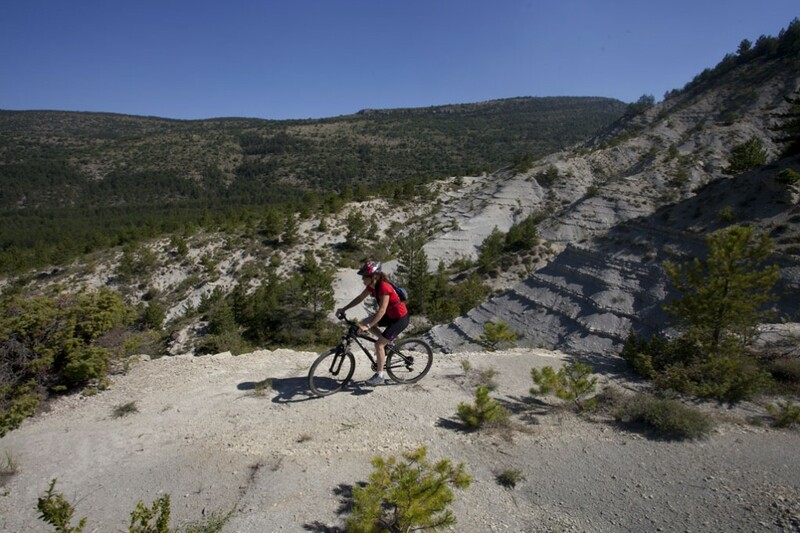 The landscape around us is just waiting to be explored either on foot or on one of our rental mountain bikes. Able to comfortably seat a large number of people, the dining room is the focal point for large groups and has a professional kitchen to serve it. 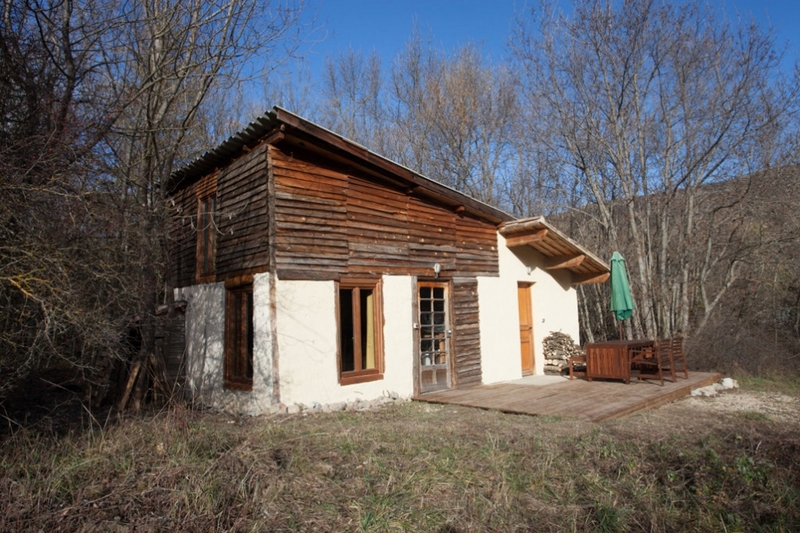 A great space for a group, The Bergerie sleeps up to 9 people and has its own wood stove to keep it warm and cosy in winter. 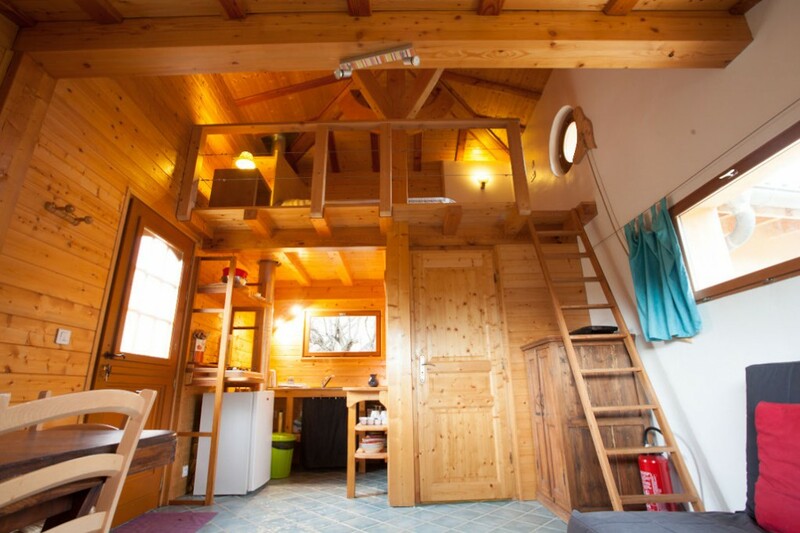 Renovated in 2016, the cabin is located 300m from the main property on the edge of the communal forest (Foret domaniale des Baronnies). 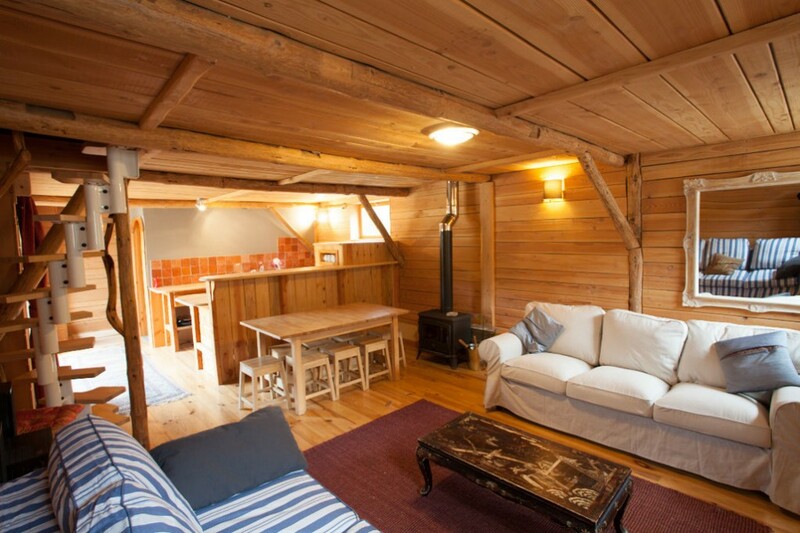 Completely off-grid, tranquil and cozy the cabin is the perfect place to immerse yourself in nature. Coming from Avignon or Marseille, drive through the small town of Buis-les-Baronnies and turn right onto the D159 signposted “Le Poët en Percip” and “La Roche sur le Buis”. After 6.5km you will cross the hamlet of Les Sias. Continue a further 2 km and on the right, following a sharp bend, you will see a sign ALAUZON pointing left (next to the circular “Location de Yourte” sign). Turn left and stay left on a gravel road for 1.2km to reach Alauzon. Approach Map and Directions with photos in PDF Format: - requires Adobe Reader.